Have you noticed that hand-lettering (or calligraphy) is making a comeback? I have! Not only do I love all the different hand-lettering font that are popping up lately, I actually have become obsessed with trying to figure out how to duplicate the artform. My normal handwriting is legible at best, so this was not an easy task to undertake. I have looked up many hand-lettering video tutorials and tried my best to replicate their techniques. It wasn’t until I gave tracing a try that I really saw an improvement in my hand-lettering. Get yourself some fancy pens. 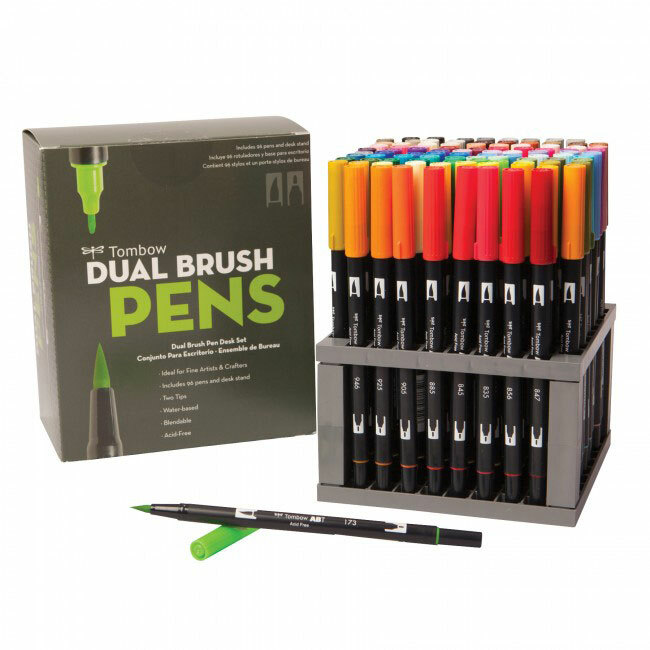 I personally love the Tombow dual brush pens. The set I am using can be found here. I love using the tracing method for a number of reasons. First and foremost I only need to print out one practice sheet. This way I save on printer ink and paper. I decided how many letters I want to fit on a sheet rather than letting the template decide for me. Another reason I love the tracing method is that it is like have training wheels. You see, much like training wheels on a bike keep you upright until you learn to balance, tracing trains your hand in the movements until you are ready to give it a go on your own. From there I can move the paper around to create words and learn how to connect the letters. And there you have it. With some Tombow pens, a few worksheets, some practice, and a Cricut BrightPad I have made my dreams of hand-lettering into a reality. 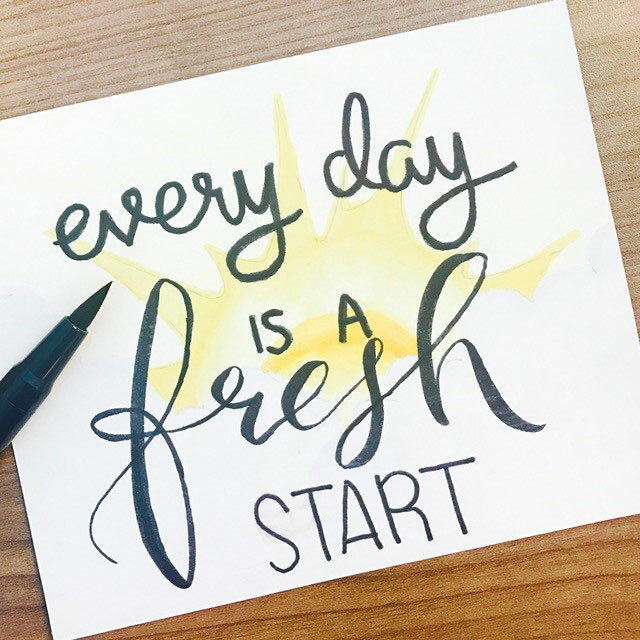 Have you tried hand-lettering yet? Tell us in the comments below! I have been using this method for years. People are very impressed that I hand wrote everything. 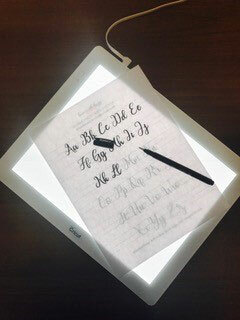 I also create a designs on paper then use the light box to perfect it. When finished I download it on my crixut design mat, make size adjustments and print or cutout my project. What a fantastic tool to have in hand! 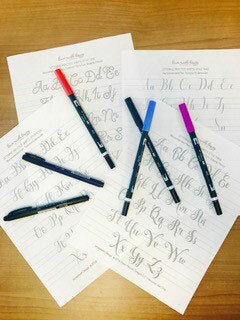 Thanks for sharing about Tombow pens and templates too, I will have try both. 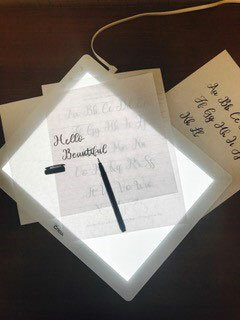 I have put the light box on my wish list now I will add the Tombow pens! My question is how do you transfer something onto your vinyl to put on projects? Thank you! I don’t see the instructions of how you got the writing onto the paper or cloth. this looks like an ad for the light box. If I have good handwriting how do I get that from my paper to the pen on my machine? I wanted to hand write my vinyl. This was about learning how to hand-letter. There were links included to templates that you can print off. 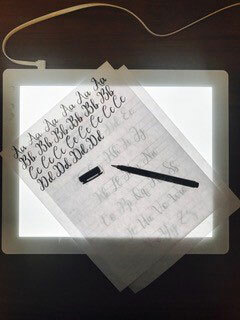 You would place that on the BrightPad, then a sheet of paper on top and you can practice. For your own handwriting, do you mean for the pen to draw on your vinyl, or to upload your writing to be cut out of vinyl? I am still interested in scrapbooking! How can I incorporate marerial/cloth/vinyl into my photo pages? Two easy ways are to use those materials as backgrounds or accents for your photo. For example, if a child’s favorite blanket is worn enough to retire (and they agree to give it up, mind you! 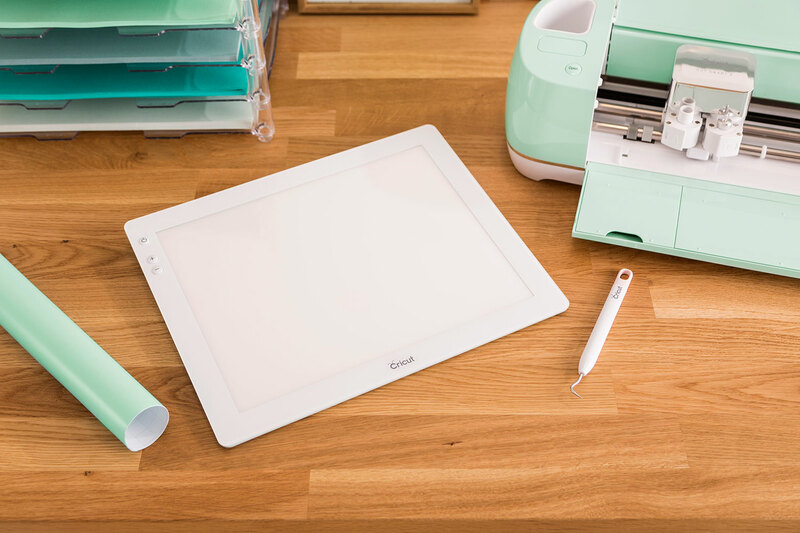 ), you could use a Cricut Maker to cut out a perfect heart and add it to a page of them holding it. There are just so many possibilities and it’s fun to let your imagination fly when making these pages.